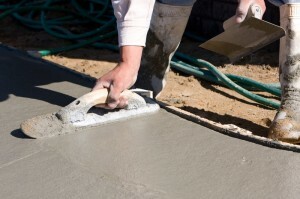 Stopping freshly poured concrete from drying out too quickly is called curing. If left to dry out of its own accord, concrete will not develop the full bond between all of its ingredients. It will be weaker and crack mill crack more. The surface might not be as hard as it should be. The form work itself, if left in place, or on the underneath of a suspended slab, stops the concrete drying out too quickly, and can be a curing agent. Spray water onto the formation. A simpler way is to just keep water sprayed onto the slab with garden sprinklers or hand held hose pipes. Use a plastic shield, which basically is a plastic sheet laid on top of the slab to stop the evaporation process. This is one of the most efficient methods of curing concrete. Use concrete curing oils or curing compounds. These compounds and oils now come in a variety of types. Preparing concrete is harder than it looks. A professional in the field is always a good idea. Hardscapes Inc. has the experts and can help you with all your concrete ideas. I guess you could say it’s been colder than usual this year. Extended periods of below -20 can wreak havoc on your mental attitude never mind what big dips in temperature can do to you outside structures and concrete. The freezing temperature of concrete is approximately 28ºF (-2º C). 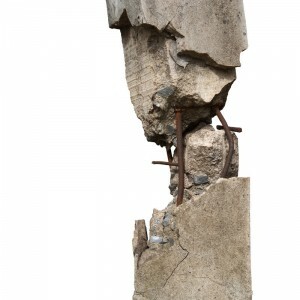 Concrete does not maintain its strength when poured at low temperatures. Almost 50% of strength loss can occur if the concrete freezes within the first few hours after placement. Temperature affects the rate at which hydration of the cement occurs. Low concrete temperatures will stall the set and weaken the strength. Hardscapes Inc. knows about concrete, we know how to keep your concrete from cracking and heaving and we know how to make it look beautiful at the same time.